SPAR International is delighted to have been recognised for their quality SPAR Own Brand products which continue to be rolled out; winning in the 2019 European Private Label Awards, in the Confectionery & Snacking category! 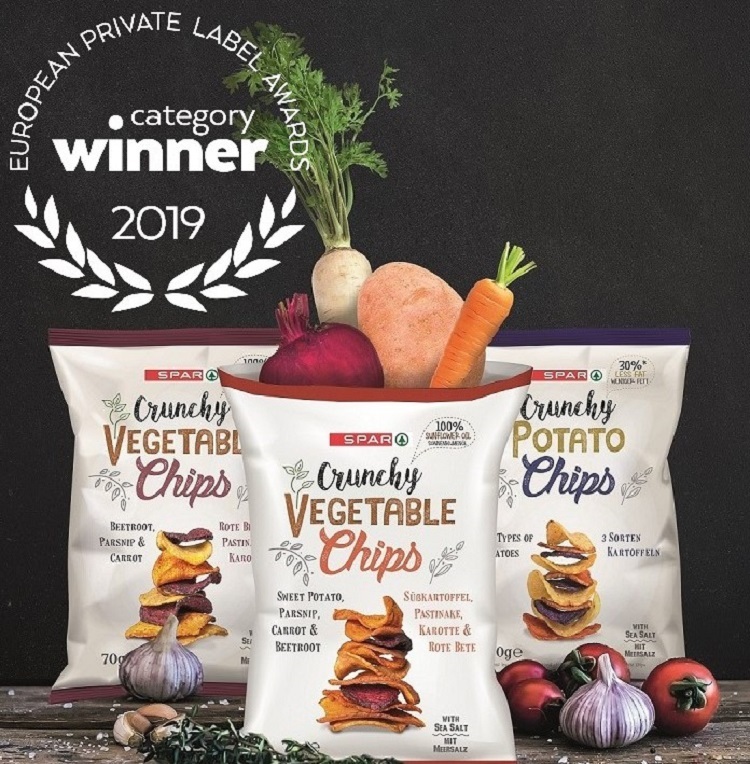 Launched in the last year, the range of crunchy vegetable and potato chips which are a lower-fat and lower-carbohydrate alternative to other potato and maize-based snacks in the sector was declared a winner. There are three variants available: Beetroot, Parsnip & Carrot; Beetroot, Parsnip, Carrot & Sweet Potato; and three varieties of Potatoes. The judges of the 2019 European Private Label Awards praised the “pleasant taste and texture” of the product, awarding it high marks for its appearance and point of differentiation. In a category that sees a lot of innovation each year, it is rare to see a product launch that is “truly different”, and SPAR International should be commended for “trying something new”.